The vineyards of Boeger Winery are on a California Gold Rush homestead, but it wasn’t until 1972 that things finally panned out. That was the year that Greg and Sue Boeger purchased the property and created the first winery since Prohibition in the El Dorado AVA. These are complex and diverse vineyards. A dense, steep and maze-like patchwork of foothills host a wide variety of micro-climates. Five major agricultural soil types are here and vineyard elevation can transition from 1200ft to 3500ft in a very short distance. The diversity of soil types, climates and topography enable Boeger to succeed with a multitude of grape varietals, twenty-two in total. The intense California sun gives generous ripeness and cold mountain breezes preserve acidity. 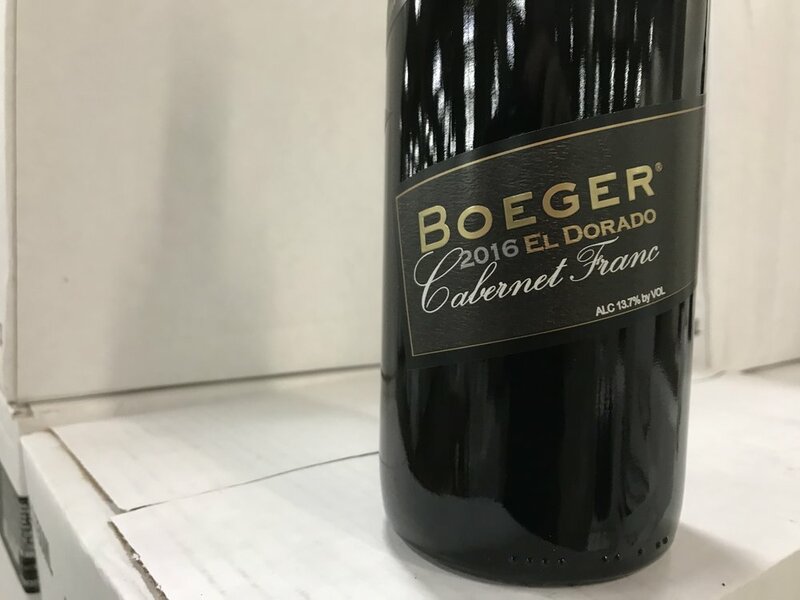 Boeger Cabernet Franc is a blend of 90% Cabernet Franc and 10% Cabernet Sauvignon. The wine has aromas of black licorice, plum, Shishito pepper, and slight herbaceousness. It is medium weight, with smoked pepper flavors on the palate and a clean finish with silky tannins.